We have all been there and know that spike and then crash and burn feeling we get after eating a high carb meal. But how can we avoid it while still enjoying some of the foods we love like pasta, bread and even cocktails. 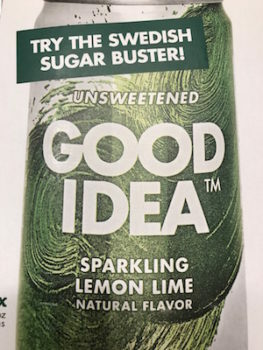 I know it sounds to good to be true, but the makers of Good Idea Drinks, have found a solution. I had the chance to get a sample of these drinks and chat with founder Björn Öste. Keep reading to get the scoop on this sparkling water that can lower blood sugar. In a nutshell, researchers found a connection between the intake of dairy and a relatively high insulin response. They found that the intake of whey before and with a meal rich in fast carbohydrates could substantially lower the blood sugar spike following a meal. The effect was also observed with protein that contained the presence of five specific essential amino acids. Repeated meal studies confirmed that the effect on insulin and glucose response from whey could be mimicked by serving a drink containing a proportion of the five essential amino acids before and with the meal. As an additional development of the concept, a small quantity of chromium was added. Chromium is well known by scientists to have an important role in blood glucose regulation. Taken together, it was hypothesized that a combination of amino acids and chromium would have a synergistic effect that would further improve the effect on blood sugar rise. 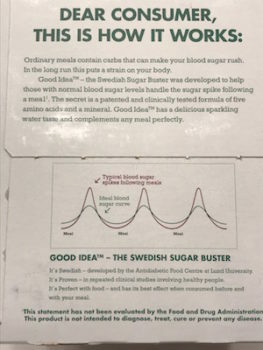 After creating this dink the researchers studies results consistently showed a typical reduction of 25-30% in blood sugar rise following a meal rich in carbohydrates, compared to placebo. To get the full details of all of the science behind the drink and results of the study can be found on the Good Idea website as well as answers to some FAQ’s. I had a few FAQ’s of my own and after my chat with Björn here is our Q&A session. 1. How did you come up with the idea for Good Idea Drinks? After learning of the research results from Lund University our company formed a collaboration to create the dink. 2. Can it help people with diabetes? Although it is not specifically targeted for that, it would be something to ask your doctor about to see if it might be a “good idea” to include it into your diet. 3. 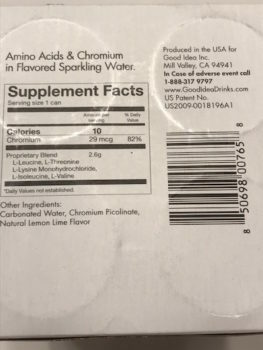 I have heard chromium can be used as a weight loss supplement. Can Good Idea drinks be used for weight loss? It is not marketed as a weight loss tool. However, studies have shown that chromium has shown to reduce the glycemic index which makes you eat less therefore could cause weight loss. 4. Why does it taste sweet when there is no sugar in it? It is flavored using natural flavor. 5. What exactly is “Natural Flavor”? How do you make it? Where do you get it? Great question. 6. Would it be helpful to drink while eating a dessert? Yes. 8. Would it be good to use as a mixer in cocktails, as alcohol is considered a sugar and most drinks are made with sugary mixers or juices? Yes. This sparkling water is a little sweet and definitely has the flavor. I loved the idea of making a cocktail with it and had a bunch of limes on hand so thought I would take a stab at creating a “Good Idea” Mojito. 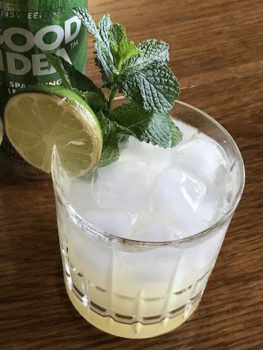 Although, this mojito recipe does not have any actual sugar in it, this flavored sparkling water will help the spike caused by the sugars in the alcohol or added sugars should you decide to sweeten it up yourself. Details on how to do that are listed in the directions of the recipe. I wish to thank Good Idea Drinks for the sample. 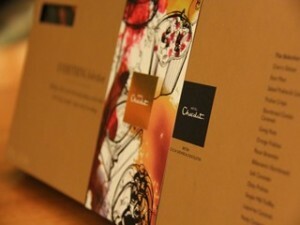 For more information on the drinks or how to purchase them visit the Good Idea website. Cover photo from Good Idea. I was like what? How does that work? I am always looking for a snack high in protein that doesn’t contain nuts so I asked for a sample. Turns out, the chips are made from sunflower meal which is the by-product from the production of sunflower oil. It’s referred to as an oil cake, which contains both protein and fiber. I’m kinda on this kick about how much food waste is in our country. Although, there is not much one can do once the food is delivered to the masses, founder Aleh Manchuliantsau explains on the Planetarians website, that using by-products from the production of products (how’s that for a tongue twister) is a good place to start. I like his approach and hope there are others that will follow in his footsteps. Now, back to the chips. 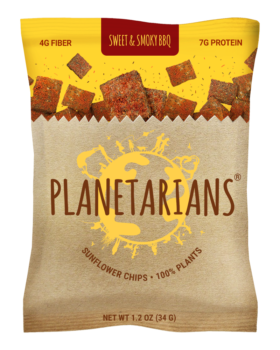 Planetarians Sunflower Chips come in three flavors. Firey Sriracha, Sweet and Smokey BBQ and Sweetly Cinnamon. I got two packages of each in my sample pack. I’ve tried all three flavors and have to say they are all pretty good. 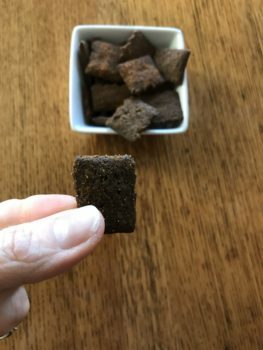 The crunchy texture of these bite-sized squares are a little grainy, but I wouldn’t say its bad, just different. Especially if you are expecting it to be like a greasy potato chip. They are definitely thicker, which makes them a hearty little snack. I love sunflower seeds and sunflower butter. I would say these have a hint of sunflower seed taste but with the flavoring added you taste mostly that. The flavoring of the Sweet and Smokey BBQ definitely reminded me of the GUYS brand barbecue potato chips, which I haven’t had for years! These were a real a treat that brought back some fun memories of my youth! The Sriracha was not that fiery but had a good spicy flavor. 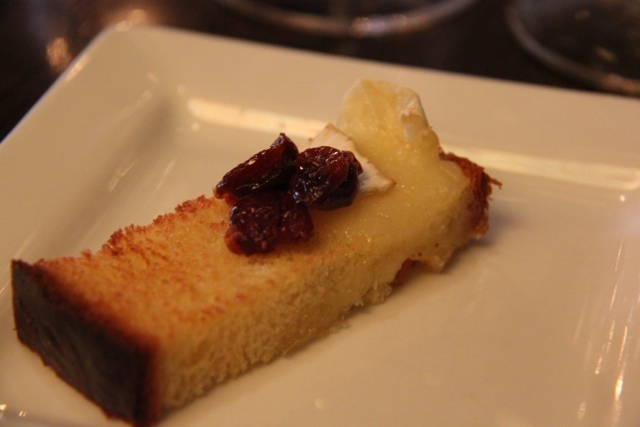 I would say the Sweetly Cinnamon reminded me of the cinnamon and sugar toast I used to eat as a kid. I try to eat pretty good most of the time and am always looking for healthier snack that is easy to take on the go. They do have some sugar in the seasoning, but they also contain protein and fiber, which is a little hard to find in crunchy snacks these days. 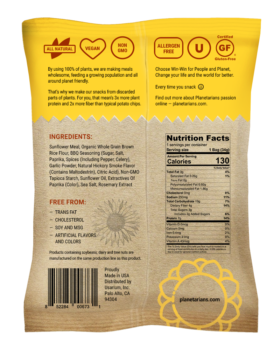 Each flavor differs and you can find all the ingredients and nutritional information here. My bottom line on these would be that although, the texture is not quite that of a potato chip, it does satisfy when you are craving that crunch. The taste satisfies when you craving something salty with the Sweet and Smokey BBQ and Fiery Sriracha flavors, while the Sweetly Cinnamon can cure a sweet tooth. I would also consider these a transitioning food/snack. 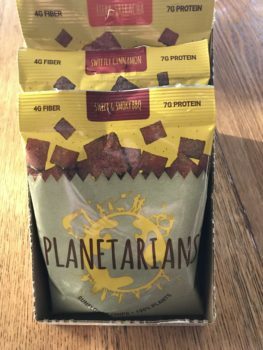 By that I mean if you are trying to eat healthier but still like some junk food, replace you snack attack item with Planetarians. It will satisfy the crunch and flavor you are craving while giving you a little more nutrition. If you have some young children or even not so young, try substituting these in place of their other chips and snacks and see if they like them. The pre-portioned packets make them super easy to grab on the go or throw in a lunch box. Feel free to comment below if you have tried these and how you liked them. by Sharm | Nov 11, 2015 | Farming, Food & Drink, Food Finds, Kansas City, What You're Missing KC! Cal-Ann Farms in Basehor, Kansas was the first stop on a recent three day farm tour I took across the state of Kansas. Myself along with a handful of other writers and bloggers were given the chance to visit six Kansas farms over three days and what we saw and learned was amazing. You can read more about the tour here. 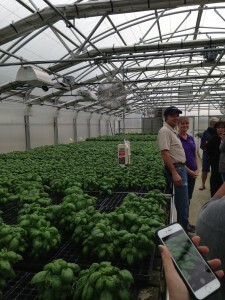 This family owned basil farm produces almost all of the fresh Living Basil plants you see in the major grocery store chains in the Kansas City metro. 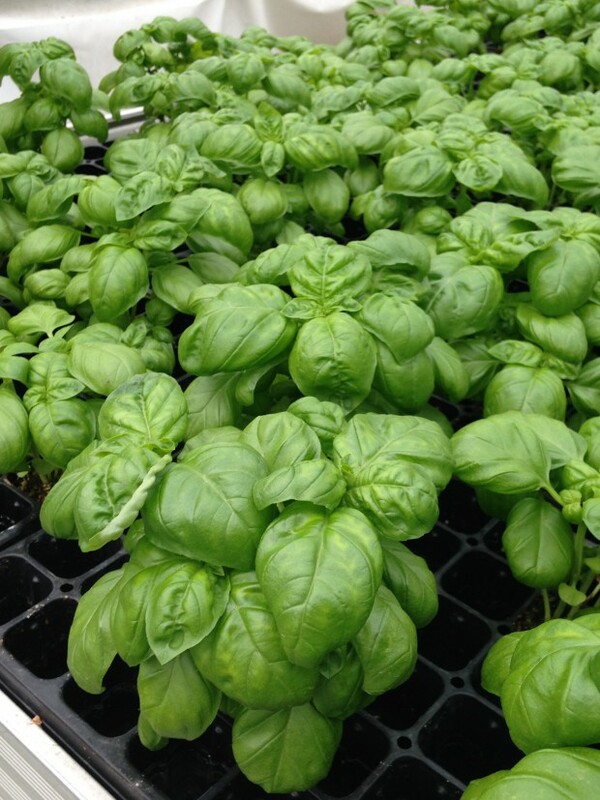 Jeff and Pam Meyer use hydroponics to grow basil, wheatgrass and few other fresh herbs year around without any pesticides. 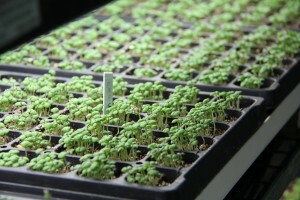 Hydroponic means no soil so Cal-Ann utilizes peat to keep the plant’s roots contained and moist while the plant still receives all its nutrients from the water. 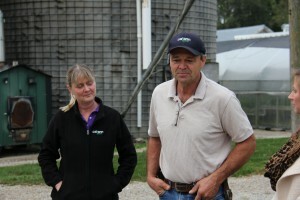 Cal-Ann is named after Jeff’s parents Calvin and Annette Meyer who originally started Cal-Ann Farms as a dairy. From seed to delivery to the store takes about 4 1/2 weeks. The basil is hand delivered to most of the major grocery store chains in the area. Cal-Ann Living Basil is the brand I buy so it was such a joy to see where my food comes from and meet the farmers that grow it. 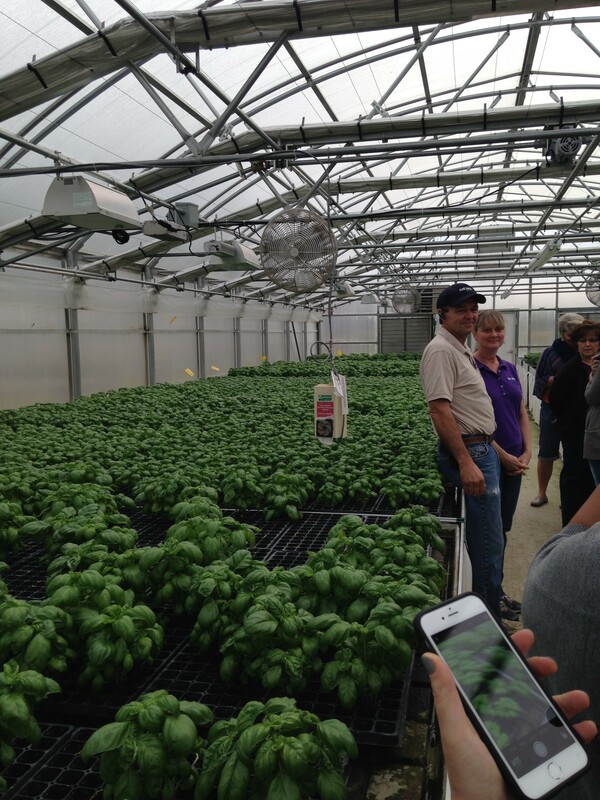 Jeff and Pam are absolutely amazing and their love for growing basil shows. 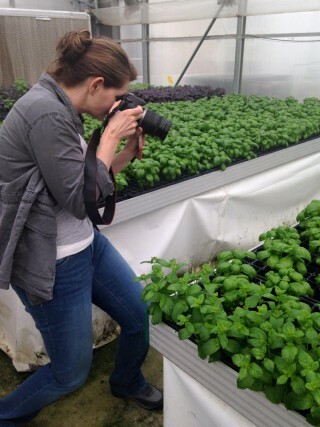 The farm is organized, clean and there are many measures in place to keep the herbs safe. I had a great time on the tour and the basil scent was delightful. 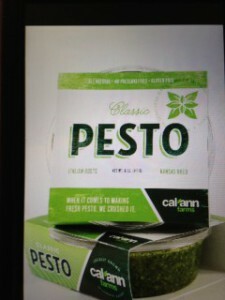 I’m also excited for a new fresh pesto product coming soon from Cal-Ann. Jeff and Pam let the cat out of the bag that they have been working on a homemade pesto using their own local basil that will be available in stores by the holidays! If you have ever made pesto before it is not terribly hard but does take a food processor and sometimes tricky to get the ratios of all the ingredients right making sure the garlic does not overpower the basil. 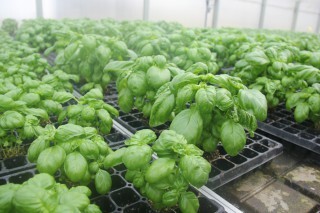 This product will be a great way to have fresh basil pesto year around without any of the work. From Basehor we made our way to Olsburg, KS where we went to Good Farm. 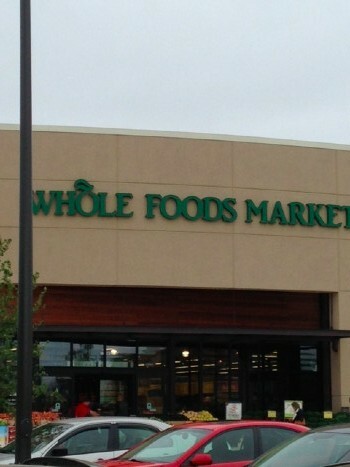 My husbands job recently relocated us to Wichita from Kansas City and I couldn’t be more thrilled to have the new Whole Foods Market here in Wichita. The store opened just four weeks ago and I think I have been there at least 15 times already. There is something about the store that is intoxicating. I love the fresh flower bouquets awaiting as you first walk in the store, the beautiful fresh produce and the handy bulk bins that have just about any dry ingredient you would need. The fresh meats and seafood are amazing. We recently got some cherry chipotle thick cut bacon and it was incredible. The pre-cut fruits and vegetable make having quick snacks on hand a breeze and of course the deli has all sorts of wonderful pre-made salads, entrees, soups, sushi, pizza and more to make dinner on the go easy! The bakery is my weakness with the whole wheat sourdough bread, carrot cake and key lime pie being my favorite indulgences. 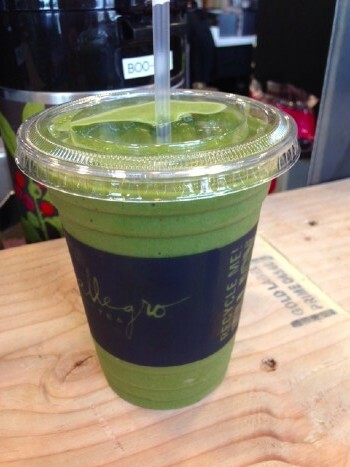 But at the coffee and smoothie bar, I can balance out that key lime pie with the Super Greens Smoothie! The decor is delightful and uses many reclaimed airplane parts which is a refection of Wichita being the air capitol of the world. I could go on and on but I am sure you get the picture. 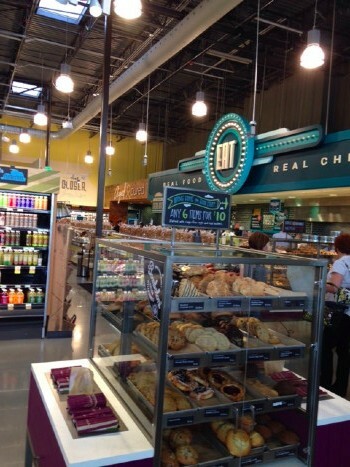 There are so many fun things I find there that I am sure this won’t be my last post about Whole Foods. Don’t be fooled by the “whole paycheck” phenomenon that is associated with it. Most things are reasonably priced and much better quality. If you haven’t been yet it is worth the visit! If you have something you think makes living finer please contact me. With over 70 locations in the United Kingdom and Europe and 2 locations in the U.S. in Boston and New York, the British Cocoa Grower and Chocolatier Hotel Chocolat is now launching their USA website. In celebration of the launch, Hotel Chocolat graciously sent me some samples to try and I must say they were quite a treat. The samples were amazing, which included The Sleekster Everything Collection and Caramel Cheesecakes. The Everything Collection was a delightful array of luxurious chocolates made with bean to bar chocolate and the highest quality of ingredients including whole macadamia nuts, buttery shortbread cookies, rich caramel and more. The Caramel Cheesecakes were creamy and delicious. The elegance and quality of these chocolates made me curious to find out more about this Hotel Chocolat. 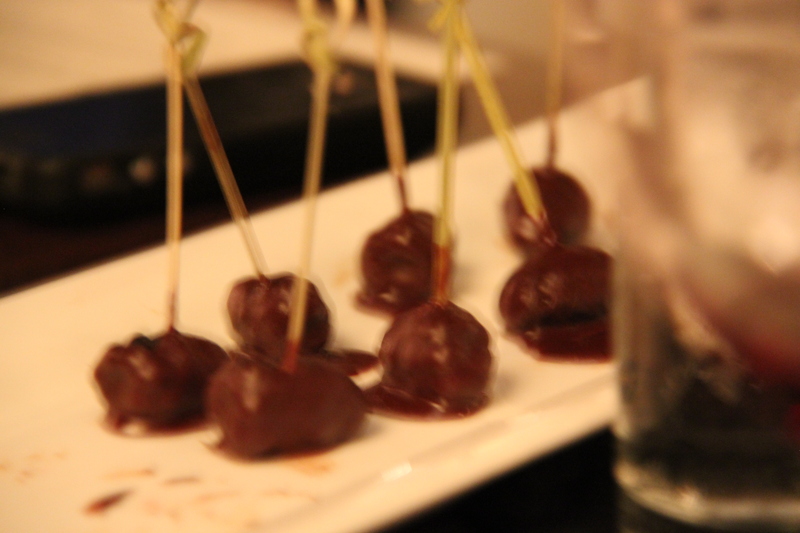 Turns out, they are one of the world’s few chocolate makers that actually grow their own cocoa. In addition, they also own a few restaurants and the Hotel Boucan in Saint Lucia, which is now on my bucket list. 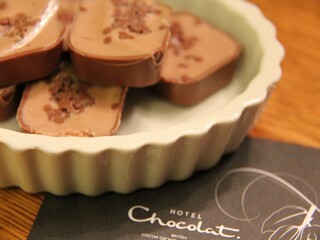 Who can resist a vacation in a tropical rainforest surrounded by chocolate, not me! For serious chocolate aficionados you might be interested in the Hotel Chocolat Tasting Club, where you can sign up to have new and different tasting selections sent you every few weeks. With over 20 years of experience as the UK’s largest online chocolate retailer, those of us in U.S. can now enjoy the luxury chocolates and stylish gifts Hotel Chocolat offers. 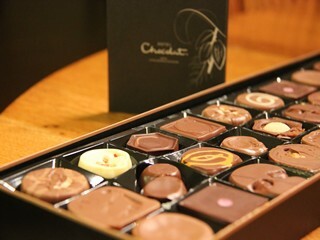 Visit the Hotel Chocolat website for more information on ordering chocolates or one of the many other ventures Hotlel Chocolat is famous for. by Sharm | Aug 16, 2013 | Cocktails & Wine, Food Finds, Restaurants, What You're Missing KC! 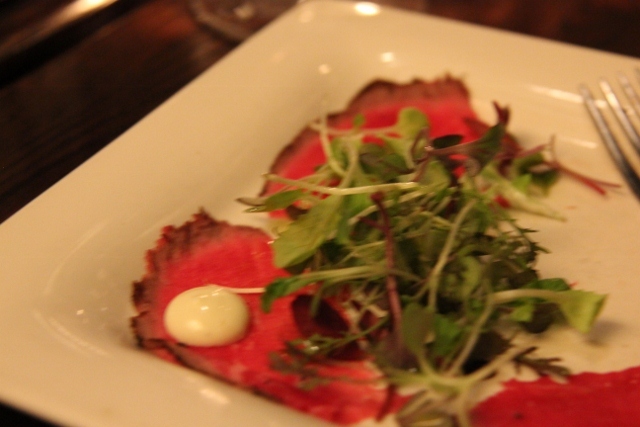 Hedges Family Estates Winery recently hosted a dinner at Tannin Wine Bar and Kitchen. The pairings of the amazing wines and dishes created by chef Brian made for a memorable evening and I will be enjoying both again soon. 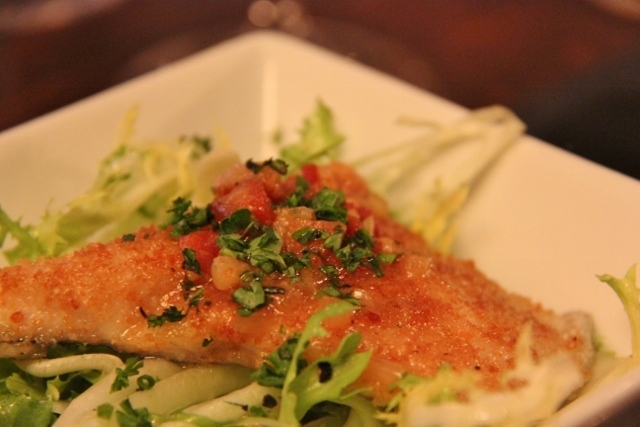 Tannin is located in the Crossroads Art District and boast an eclectic wine list. 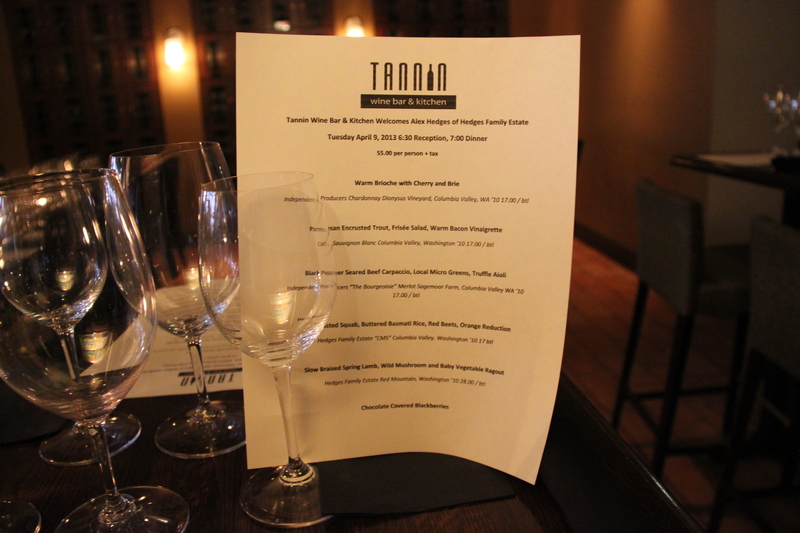 Whether you are a wine novice or expert, Tannin offers wines by the taste, glass or bottle, to satisfy everyone’s palate. 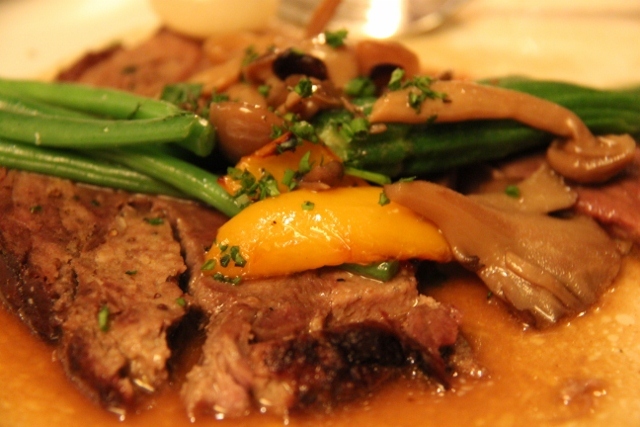 Their knowledgeable staff can assist you in selecting the perfect wine to pair with your meal. Tannin serves both lunch and dinner and the menu boasts a seasonal, contemporary American menu that includes a unique selection of small bites, gourmet sandwiches and eclectic entrees.With the diverse menu offerings, Tannin is the perfect place to go if you are in the mood to share a selection of small plates and a bottle of wine with friends, want a romantic dinner for two or just need a great place for lunch. Hedges Family Estate, owned by Tom and Ann-Marie Hedges located on Red Mountain, is the largest family-owned winery in Washington State. Tom was born in Richland, Washington, while Anne-Marie was born in Champagne, France. 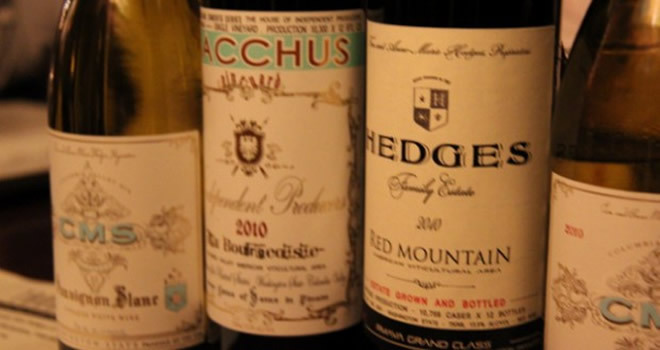 Both of their upbringings have influenced what Hedges Family Estate is today. Read more about the family and winery here. 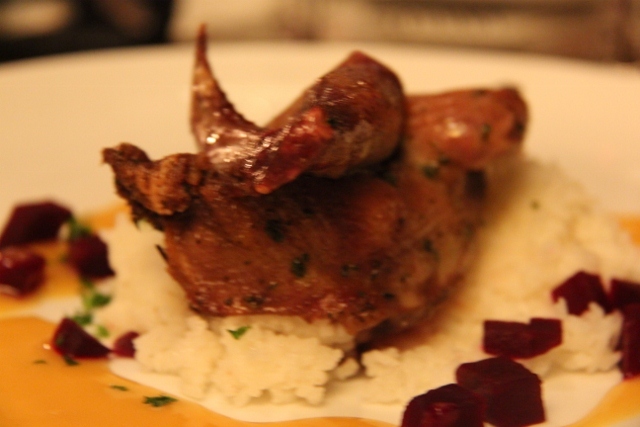 The dinner featured their signature Red Mountain as well as blends from their Columbia Valley Line. 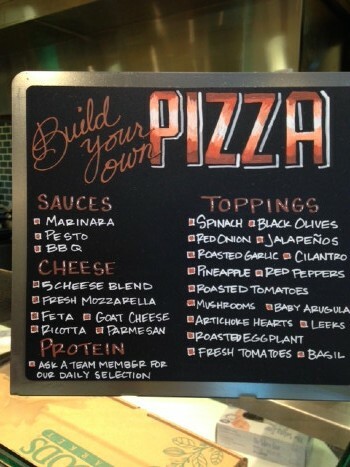 I have recapped the menu below. Warning it will leave you wanting good wine and good food and Tannin Wine Bar and Kitchen where you can enjoy Hedges Family Estates wine and great food will curb that craving! All of the wines and food were phenomenal. I wish to thank Tannin and Hedges for inviting me to this event. I already knew Tannin is a great place to go to and I am now thrilled to have found some new great wines! 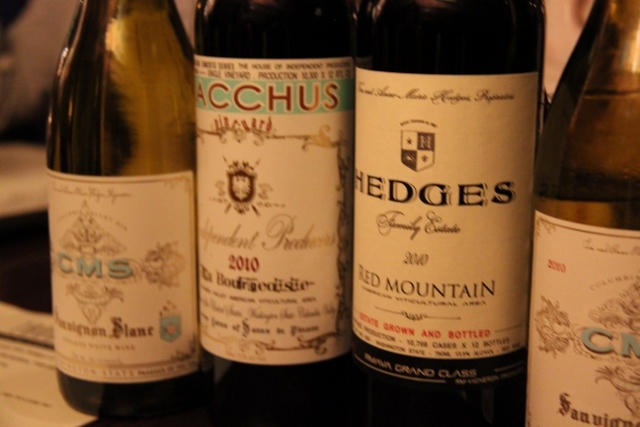 Hedges Wines are available throughout the metro. Visit the Hedges Family Estates website for additional information on wine including tasting notes and ordering online and more. Join My Newsletter to Get the Latest Updates! Affiliate Disclaimer: Even though I will occasionally be compensated for certain posts, the opinions are my own and not influenced by that factor. The post will also state when compensation has been received.